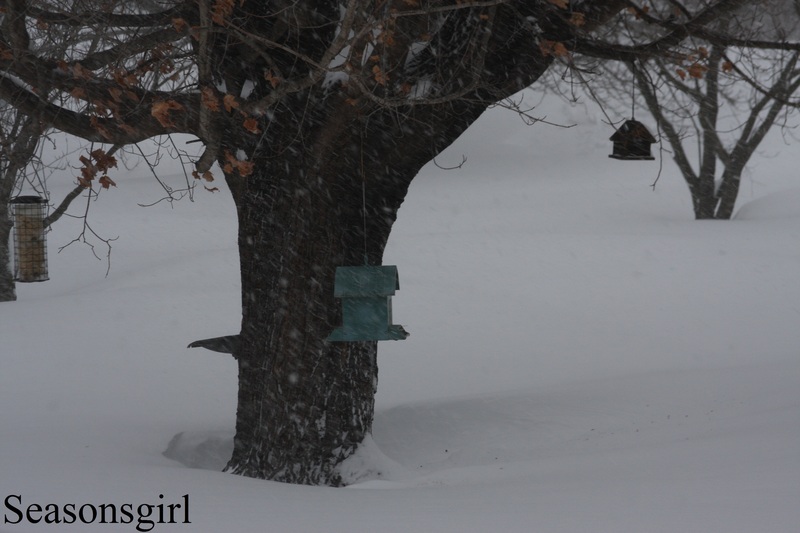 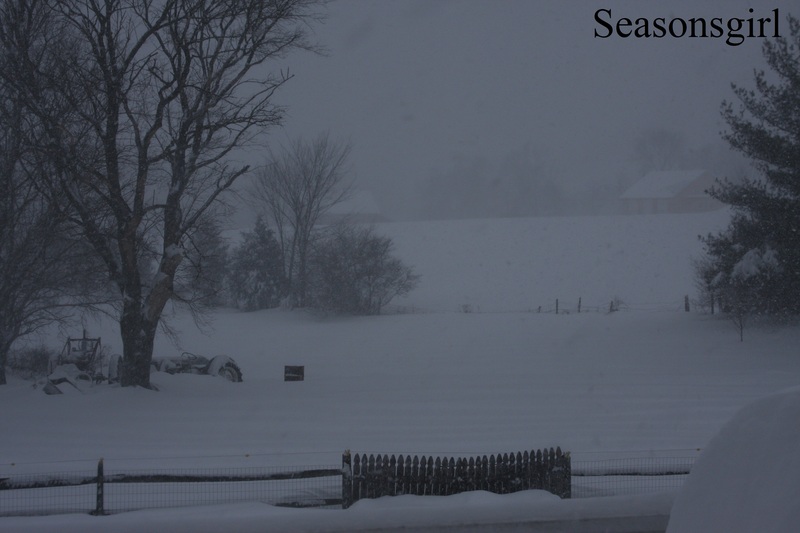 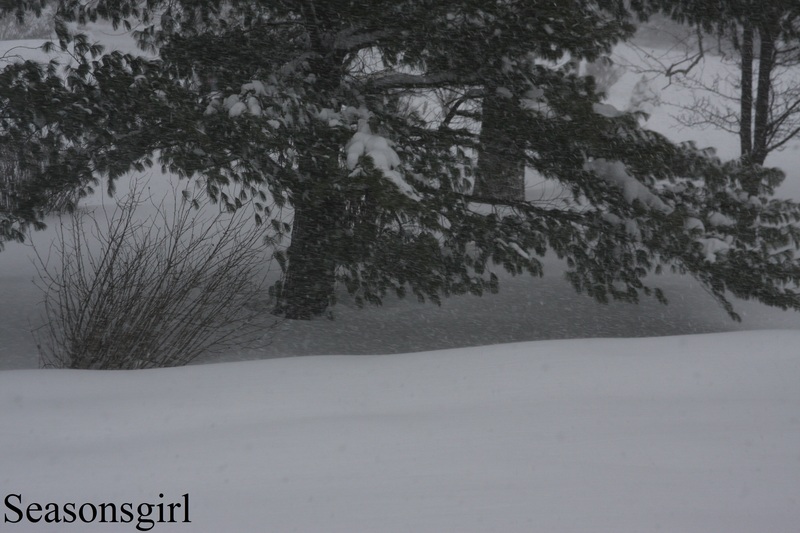 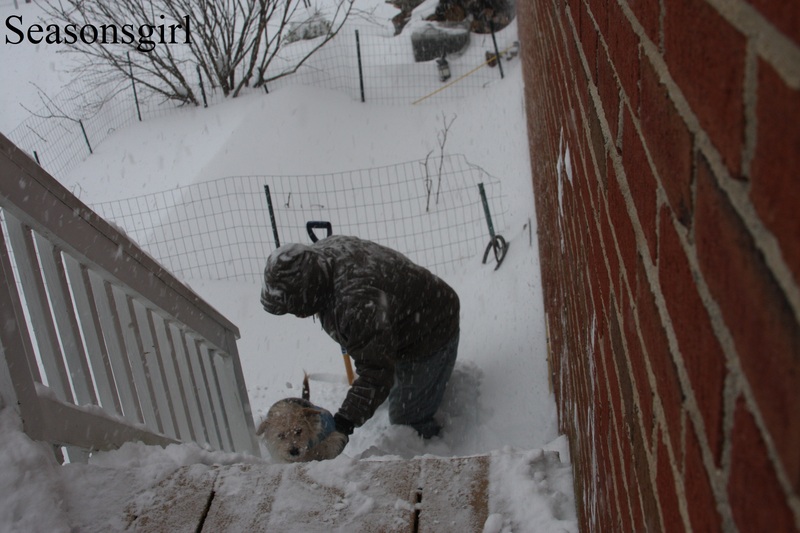 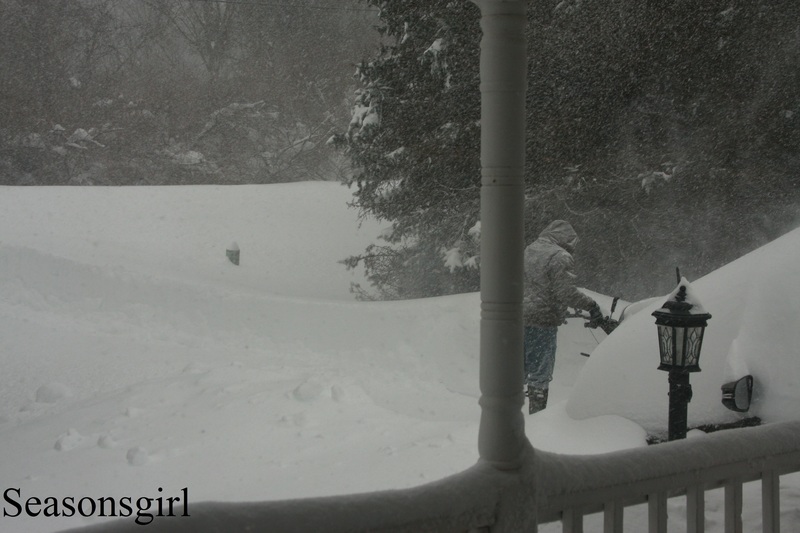 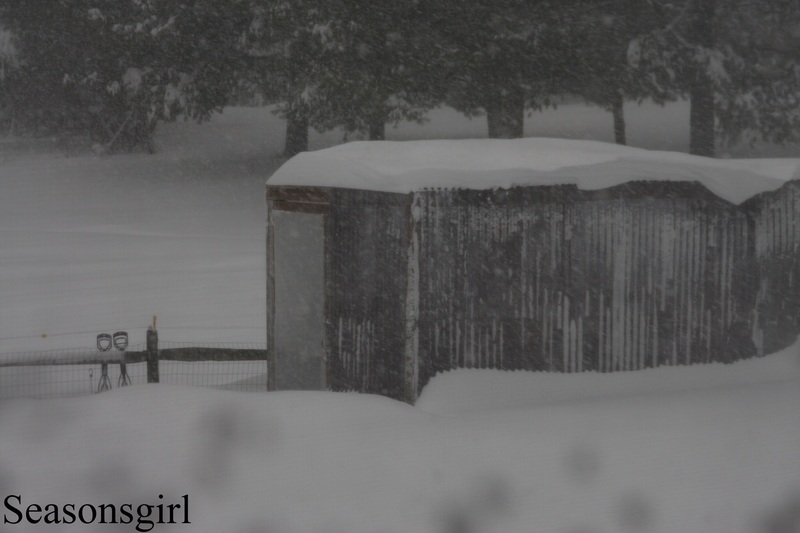 I worked/shoveled my way to the chicken coop to check on the girls while Hubby decided to try to get out and snow blow the drive way a little incase there was an emergency and so when the snow stopped it wouldn’t be too tall or frozen to snow blow out…. 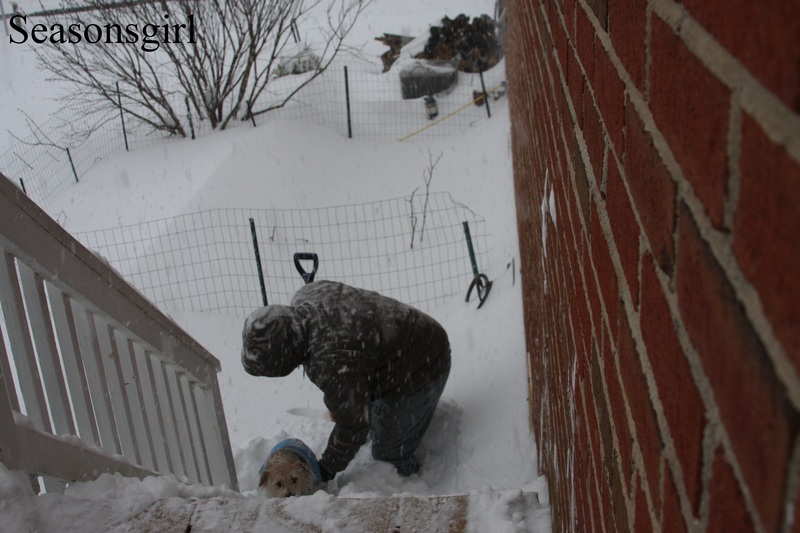 After we got a little shoveling done and some of the drive cleared out we came inside as the wind picked back up (just to tell you how fast it was coming down by the time hubby got maybe 10 feet, where he had just finished snow blowing was already covered back up with 4+inches of snow and by Sunday had almost been completely filled back up where he had plowed). 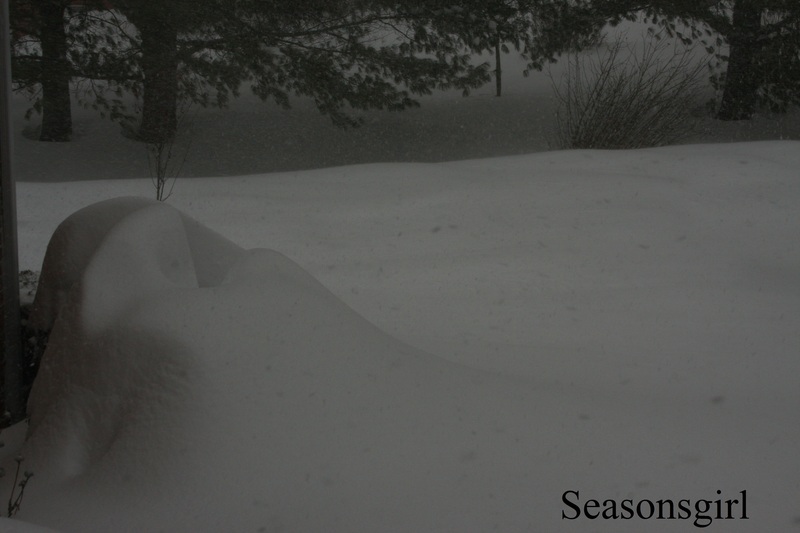 It was a cold an exhausting few hours outside.